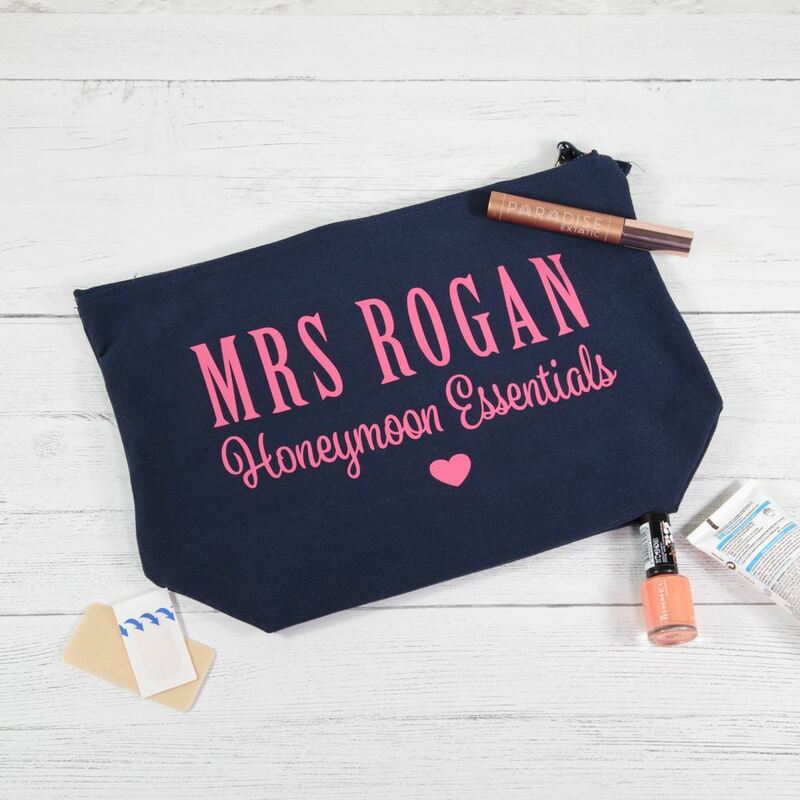 If you are jetting off on your honeymoon, you're bound to be packing lots of essentials to make sure you are looking your best when you hit the beach. 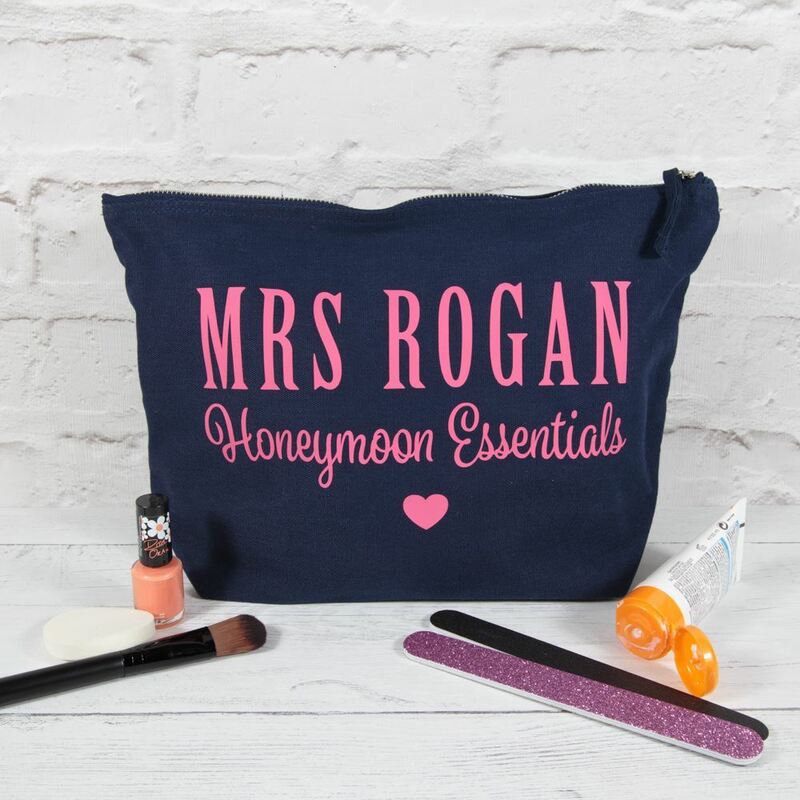 Our extra large honeymoon essentials bag is perfect for packing everything you need for your holiday. 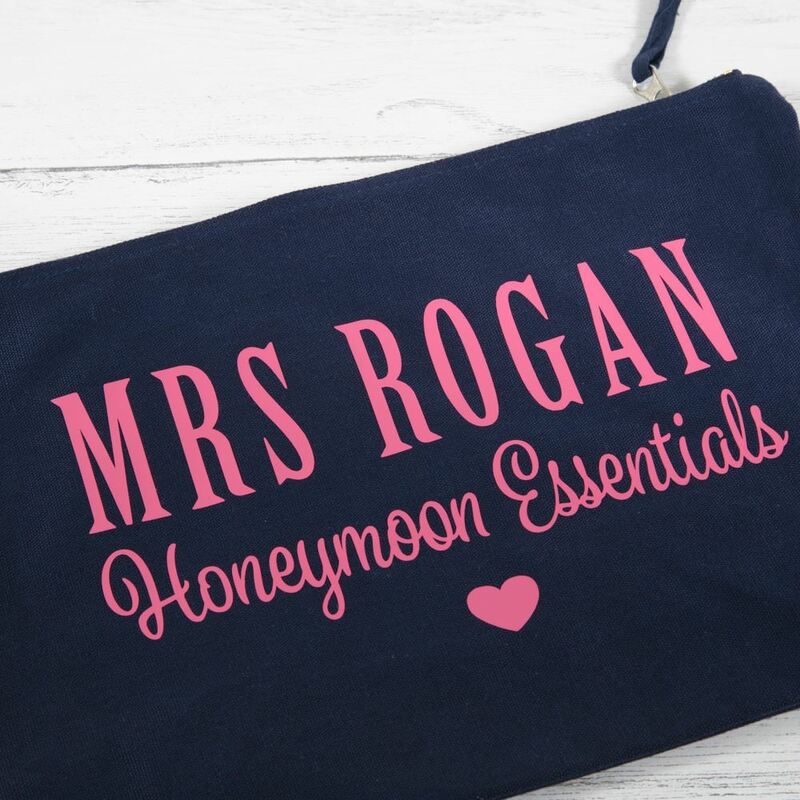 Each bag comes with your new married name and the words "honeymoon essentials". 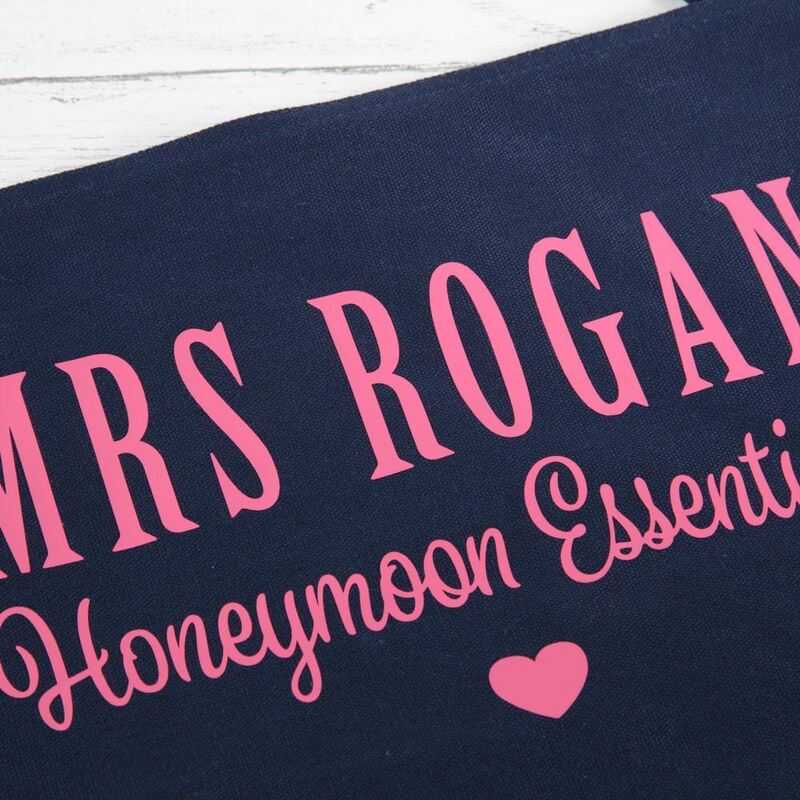 Add a bit of glamour to your suitcase as you go on your first holiday as a married couple. The bag measures 33cm x 23cm x 11cm. PLEASE ENTER THE SURNAME OF THE RECIPIENT IN THE COMMENTS BOX WHEN YOU ORDER.